MADISON -- Gov. 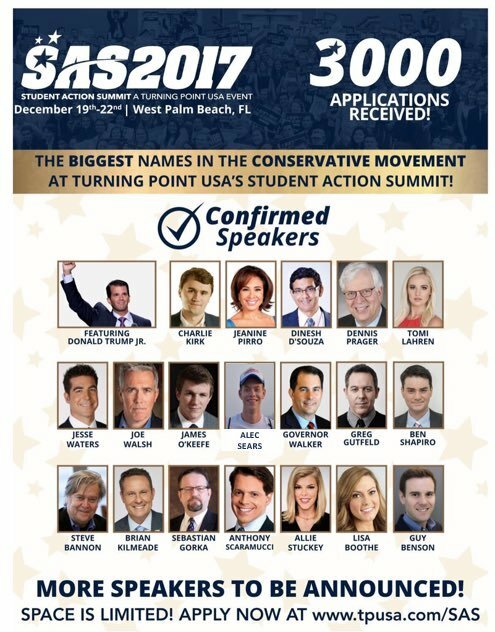 Scott Walker is a confirmed speaker for the controversial, far-right group Turning Point USA at its Student Action Summit in December, alongside noted conspiracy theorists, fake news propagators and white supremacists. Walker, who has spent much of his second term neglecting Wisconsin while making a bid for the national conservative spotlight, will be appearing alongsidea controversial slate of speakers that has been announced to include Steve Bannon, Sebastian Gorka, Dinesh D’Souza, Joe Walsh and Donald Trump Jr. The following is a statement from the Democratic Party of Wisconsin Chair Martha Laning on his choice to be featured at this controversial event taking place in Florida next month, Dec. 19 - 22. “It is shocking to most Wisconsinites how much time Gov. Scott Walker spends outside of our state promoting people and groups whose values are in direct conflict with everything Wisconsin stands for: fairness, opportunity, community and responsibility. "Instead of addressing Wisconsin’s needs, Walker is raising money and rallying Tea Party crowds, sharing events with white supremacists, advocates of political violence, fake-news conspiracy theorists and right-wing extremists. 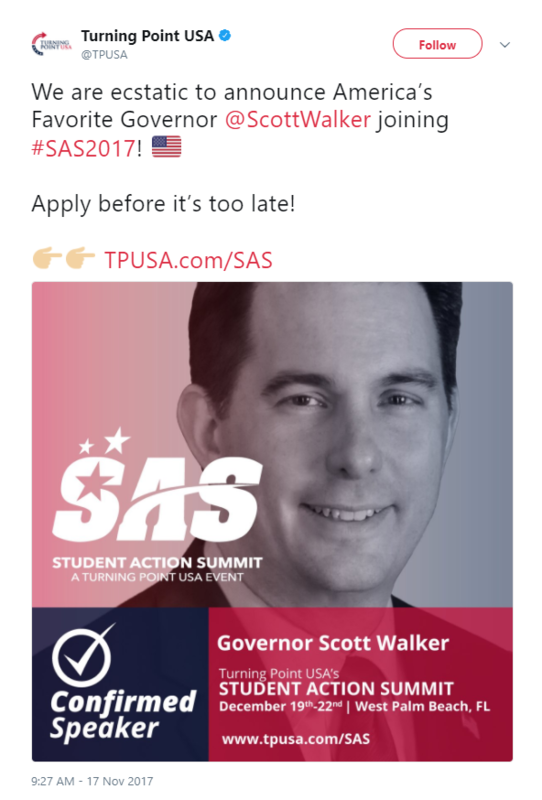 Walker should be honest about his role at these national events because it is a far cry from the act he puts on in his carefully orchestrated, invitation-only Wisconsin appearances."